On January 6 the Portuguese village of Vale de Salgueiro celebrated the traditional Epiphany festival, also known as the Feast of The Three Kings. While the holiday involves such benign traditions as eating cake and singing carols, there is one tradition that causes an outcry every year – parents allow and even encourage their children to smoke cigarettes. Locals defend the practice, claiming that is has been passed down for centuries as part of the Epiphany and winter solstice celebrations, but no one is sure exactly what it is meant to symbolize. 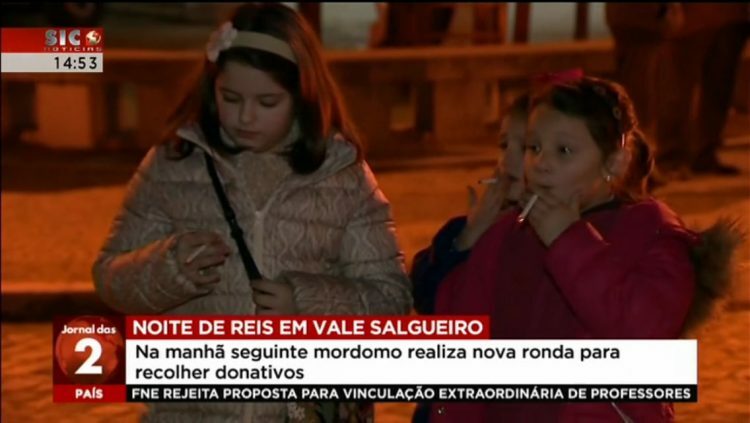 In Portugal, the legal age to purchase tobacco is 18, but there is nothing to stop parents from giving their children cigarettes, and the authorities have yet to intervene and put an end to the tradition. Despite the criticism and outrage from outsiders, locals defend the custom. 35-year-old coffee shop owner Guilhermina Mateus told The Associated Press,”I can’t explain why. I don’t see any harm in that because they don’t really smoke, they inhale and immediately exhale, of course. And it’s only on these days, today and tomorrow. They never ask for cigarettes again”. 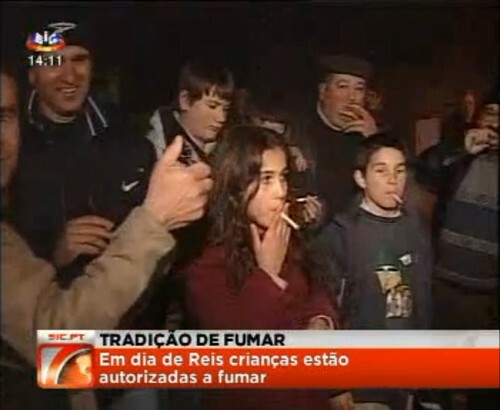 Radio Brigantia in Portugal interviewed some locals regarding the tradition, including Tomás, aged six, who said he smokes, “but only on Epiphany.” His cousin, Eduarda, also aged six, added that smoking “hurts the lungs,” but it’s only two days a year, so it can’t cause any real harm. 88-year-old Eduardo Augusto, the two children’s grandfather told Radio Brigantia that he too smoked on Epiphany as a child, but claimed that it wasn’t how he got addicted to smoking. Augusto couldn’t say how old this unusual tradition was, but he remembered that his own grandfather had once talked very enthusiastically about it, so it must go back at least a few hundreds of years. Jose Ribeirinha is a writer and researcher who has published a book on the village’s festivities, and he told The State that while the origins are unknown, it may have to do with the celebration of the annual rebirth of nature. He added that the village is located in a region that practices many ancient pagan and Roman festivities, and during the winter solstice period villagers traditionally take the liberty to do things that are out of the norm through the rest of the year. Like many other European nations, Portugal has taken steps to reduce smoking, including a partial ban on lighting up indoors.